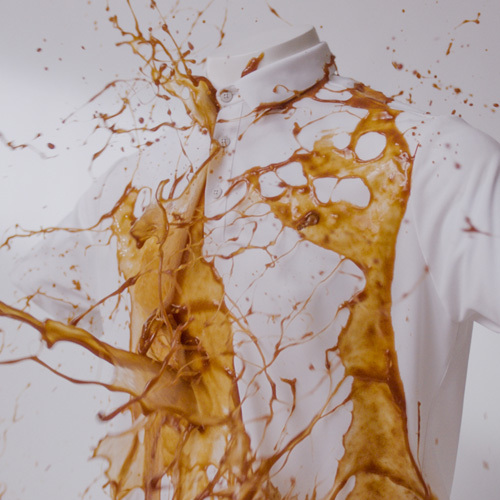 PS21 | PS21 & KFC jump into fashion with a stain-repeller shirt. 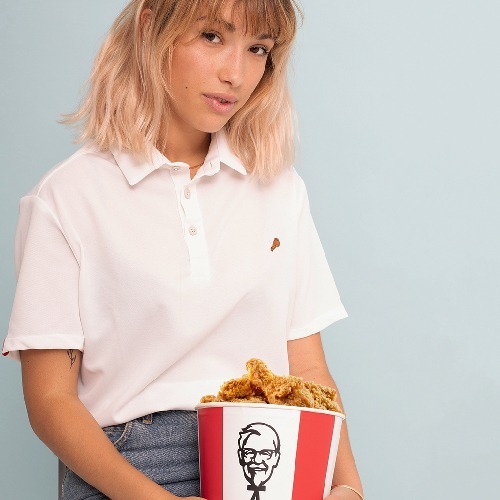 KFC and PS21 considered how to improve their clients' experience, so we decided to design a polo that repels stains: an innovative textile where our 7 tasty sauces slip down it. KFC needed to stand out from their competitors and fins new way to differentiate its communication of a food-centric category. 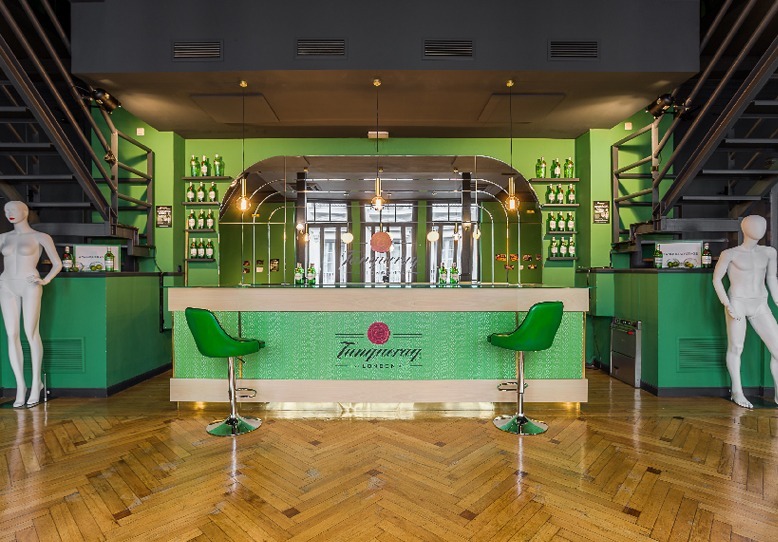 For that, we needed to work on quality but not only through product innovation and communication. 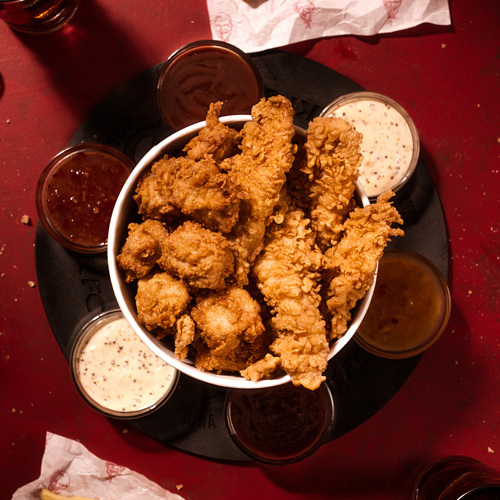 The process focused on Kentucky Dip, a new product innovation that consisted of a bucket of boneless chicken pieces and different sauces to dip. We made a deep analysis and focused in people observing and studying their interactions with our product during the user journey. Among all the insights mapped, we decided to work on one of them: stains on clothing. 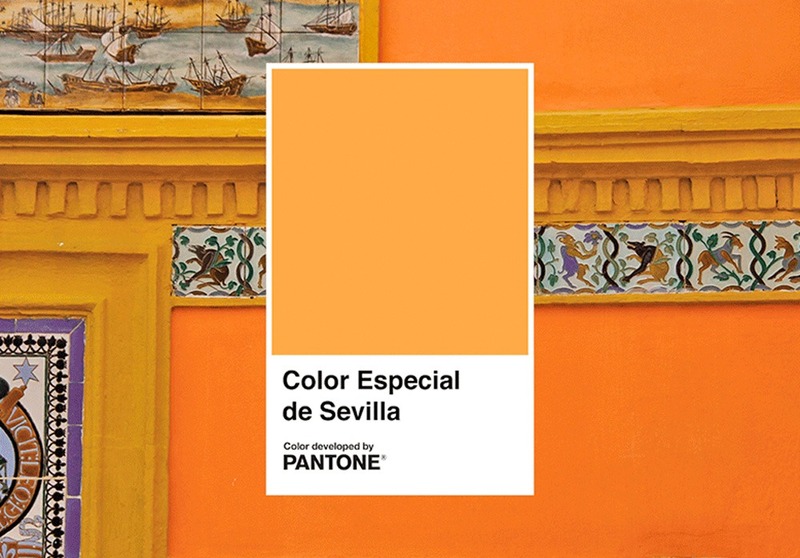 We analyzed several innovations of stain-resistance systems, and we found & met Sepiia, a Spanish fashion start-ups focused on oleo phobic textile. 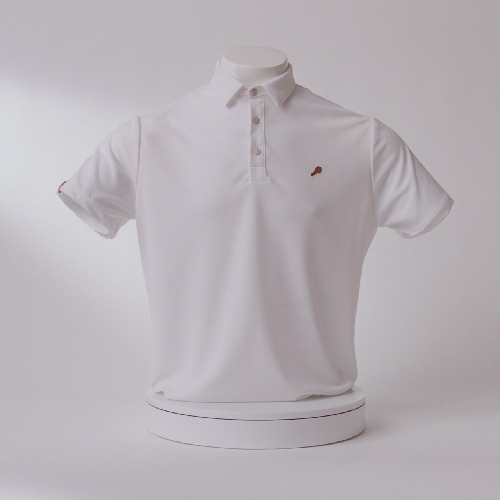 After a couple of months of cooperation, we designed the prototype of a polo with hydrophobic and oleo phobic technology: a polo with breathable fabric capable of repelling smells and stains. This helped KFC to enter the fashion world and this prototype became a limited edition. 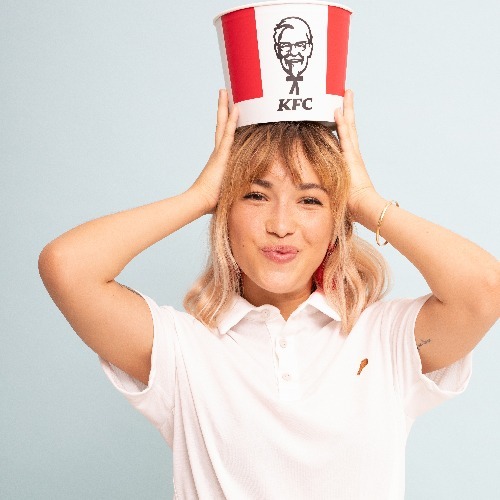 Not only we managed to create a new product but also, given its good reception among consumers, the polo has become a beta project regarding the new KFC's worker uniforms.